A promo for the pilot. 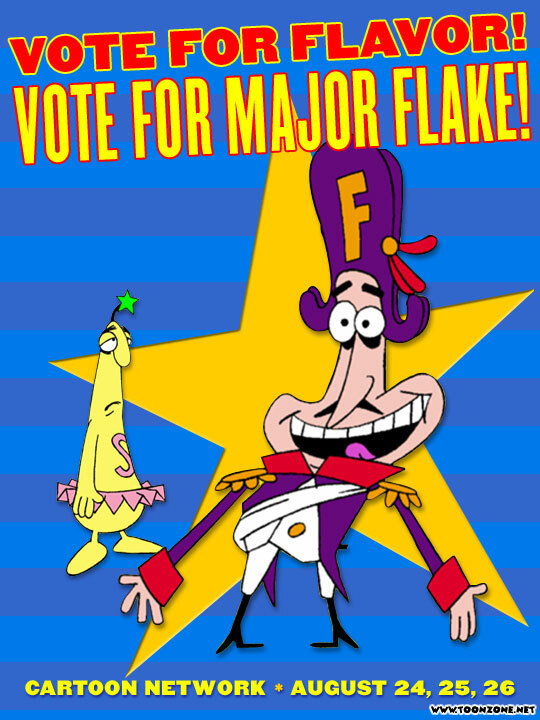 Major Flake is a cartoon pilot created by Chris Kelly and Adam Cohen at Kurtz & Friends for Cartoon Network in 2001, in which it was aired as part of the Cartoon Cartoon Fridays Big Pick Weekend. 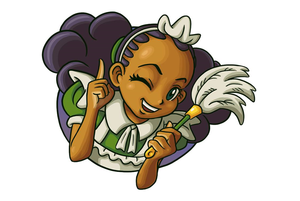 However, it lost to Codename: Kids Next Door. The pilot episode, Soggy Sales, revolves around the titular cereal mascot and his sidekick Sparkles as they try to get their cereal marketed before it gets pulled from the shelves, no matter how disgusting it tastes. Before April 3, 2015, this was one of three pilots of the Big Pick of 2001 that had not resurfaced anywhere on the internet. The only footage that could be found was featured in this segment of the Big Pick Weekend. However, it was rumored that the pilot aired on Latin channel Tooncast, thus it was very unlikely that the pilot would be in English. The rumors proved true when, on April 3, 2015, MEGA user "adroceblaz" uploaded Major Flake, IMP, Inc., and several other shorts to his own page. The pilots were all in Spanish, as previously indicated by earlier rumors. On April 14, 2015, a user by the name of Ben Middleton shared an English version of Major Flake. Major Flakes in "Soggy Sales".